Last December I was stumped. I needed a gift for my son’s 4th grade teacher and the only thing I knew for sure was that she LOVED to read. In my quest for an unique, meaningful, and affordable gift, I happened upon The Wandering Reader. 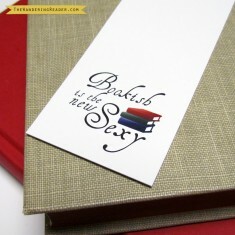 This online store offers “cool stuff for the incurably curious” including necklaces, bookmarks, cards, and prints, all with a bookish theme. 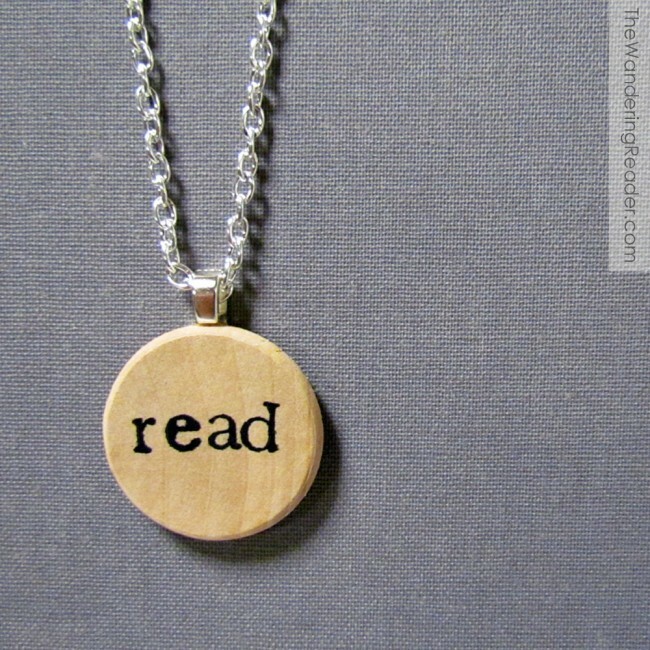 I ordered this read necklace for my son’s teacher. She loved it! I think their “cool stuff for the incurably curious” would make an awesome Mother’s Day gift or year-end teacher’s gift. Or pick something just for you! They will even ship internationally, so the giveaway is open to everyone. The Wandering Reader can be found online and on Facebook, Twitter, Pinterest, and Tumblr. Good luck winning some “cool stuff” from The Wandering Reader! Enter using the Rafflecopter widget below. The giveaway ends Saturday, April 27 at midnight EST. Disclosure: all opinions are mine. I did not receive compensation for hosting this giveaway. Wow this stuff is so cute!! I loooove to read too. It’s so hard to pick a favorite! Thanks for holding this giveaway. I love the necklaces, but I think if I were to choose one thing on the site, it would be “To write means more than… Original Writing Poem and Inkwell Illustration Art Print”. Thanks for the giveaway! Oh My! Love this site! The Winnie the Pooh necklace that says “You are braver than you believe, stronger than you seem, and smarter than you think.” PRECIOUS! Anastacia Hawkins (@AnastaciaWrites) recently posted…Write it Down! Oooooh! I need gifts for all my kids’ teachers!!!! This would be so awesome! 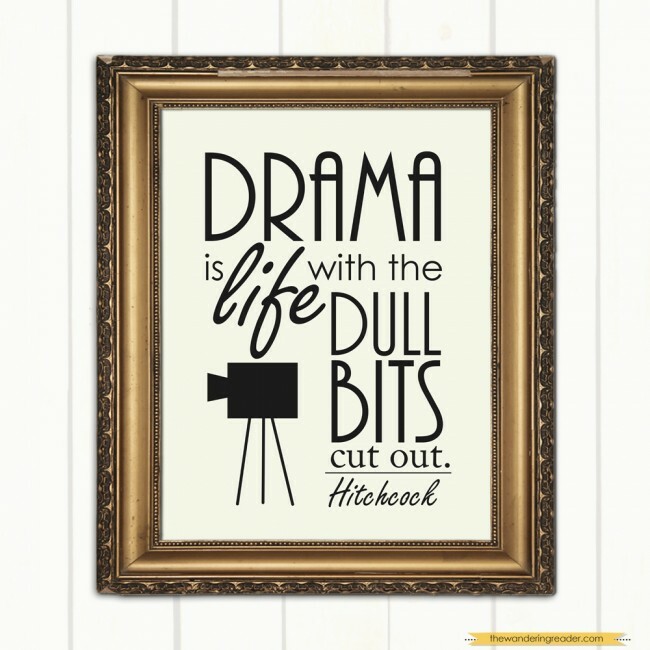 I would love some new printed art for the house! So many quotes to choose from. I would love the Pooh necklace! VERY cute! Love the site! What a great find for gifts for someone who has everything! Jeannie Davis recently posted…Wordless Wednesday! Agreed, these are very cute ideas – thank you for your suggestions! 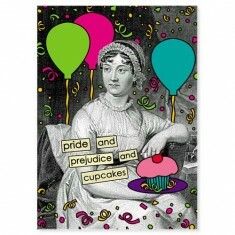 I love the card and have a hard time walking away from a cute cupcake! grownandflown recently posted…Ready to Go? I like the Expecto Patronum print from Harry Potter. It is whimsical!